Post is a work in progress. 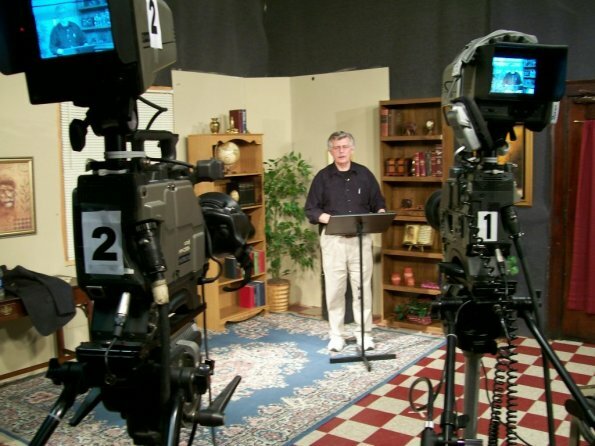 WTJR has 3 Hitichia ht-10 1/2″ 3 CCD SD cameras setup in studio configuration that we have have been using for 20+ years. We produce on average 12 1/2 hour shows per week. We record live to tape. 90% of time. The show does not fot post production for graphics or open and close or powerpoint it is inserted live. The cameras are trucked in studio from set to set. They all have been rebuilt, some multiple times. We Paid approximately $30K for 3 cameras, including 3 CCU’s, two 30′ CCU cables per camera, 5″ B&W studio viewfinder, remote zoom and focus, 3 tripods with wheels and arms. It is time to upgrade to HD. Also we need tally lights and intercom like we have now, iris control, all runing on camera cables to control room. Previous Post EAS – Emergency Alert Systems – Sage – TFT – Options.